The Social and Cocktail mobile cocktail bars have everything that our bartenders need to create amazing cocktails for your next Cocktail Party or Event. Presented in a stylish white and chrome our bars have been designed so that they are flexible to fit into any space. 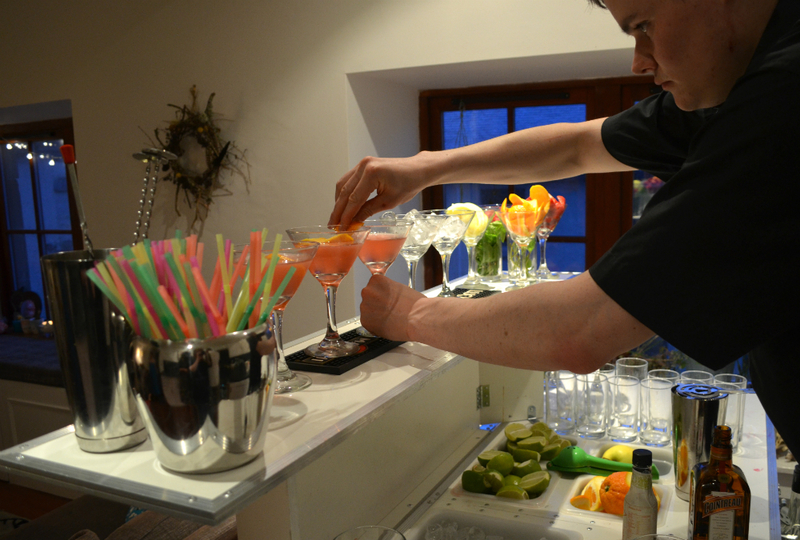 The bars also come in a specially designed case, meaning we can serve cocktails anytime, anywhere. 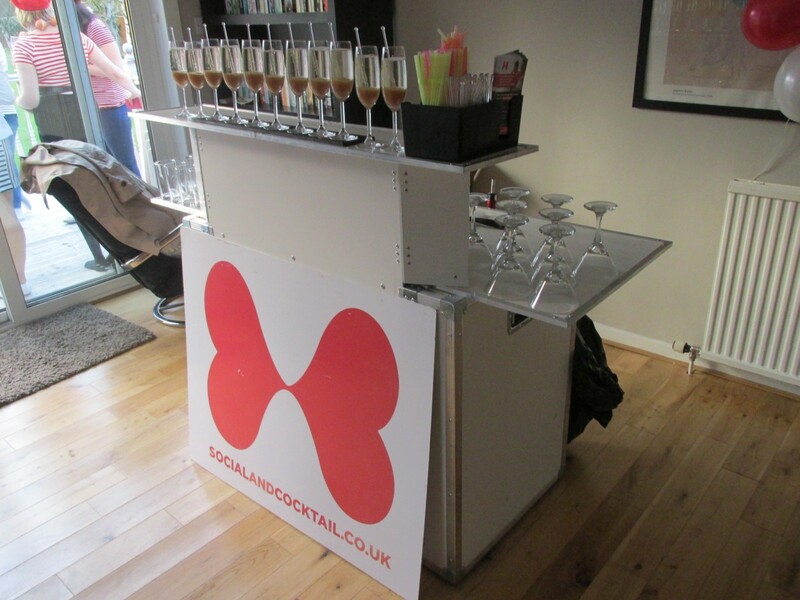 Our mobile bars are at the heart of our total cocktail party solution. Designed by a team of experienced bartenders, these bars are the most professional transportable solution for hosting in any indoor or outdoor environment. The bar neatly folds into a box, making transport and set up a piece of cake. 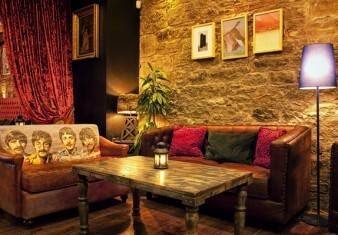 We can be ready to serve the best cocktails in Scotland right there in your living room within 30 minutes of arrival. Watch the video above to see just how flexible our bars are. 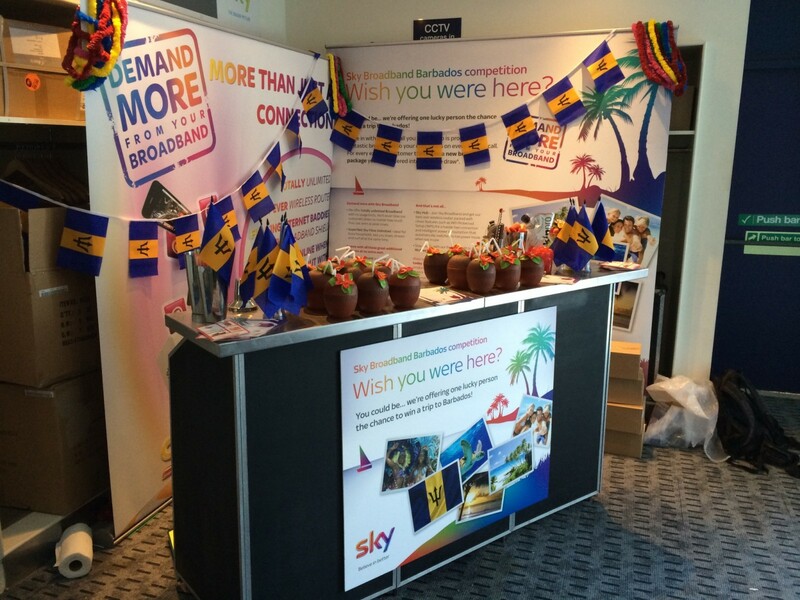 Our mobile bars are fully brandable, making them the perfect addition to your next corporate event or exhibition appearance. Our exhibition stand was overrun with people queuing, despite plenty of other empty bars in the room! We can even create a bespoke menu for your event or exhibition! Find out more here. One of our bars is capable of producing up to 100 cocktails per hour. 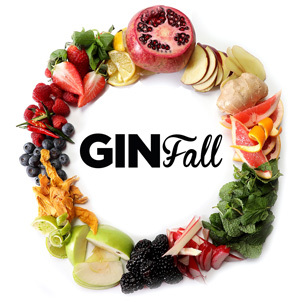 With space for fresh ingredients, glassware and spirits, all you have to do is bring the party – we’ll bring the cocktails. Ready for a Mobile Cocktail Bar at your next party or event? Request a Quote Today!